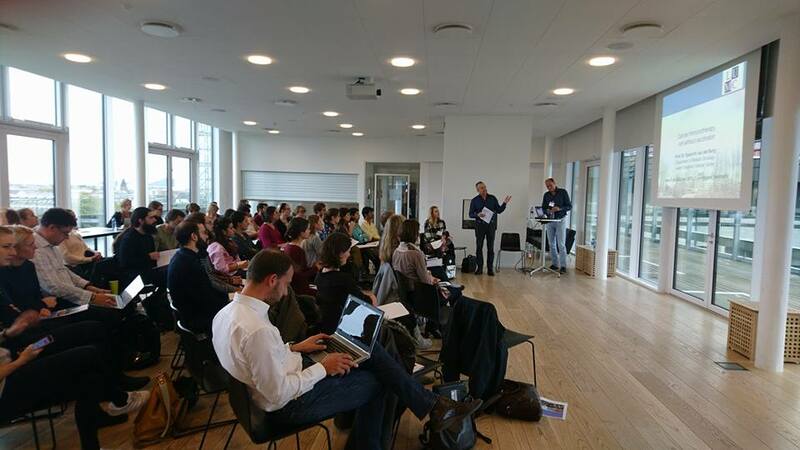 From October 2nd to October 6th 2017 the second IMMUTRAIN workshop and conference were held in the Panum Institute (Copenhagen University) in Copenhagen, Denmark. The first half of the week consisted of a workshop for 15 IMMUTRAIN Early Stage Researchers (ESRs), with lectures focused on state-of-the-art clinical oncology – from bench to clinic, presented by accomplished oncologists. The second part of the week brought together experts in the field of cancer immunotherapy at the 2nd IMMUTRAIN conference. 16 highly accomplished invited speakers from all over Europe presented their most recent scientific results in the field of cancer immunology. Topics included vaccination, radiotherapy, T cell therapy, microbiota, tumor microenvironment, antibody treatment and other novel technologies – all from the perspective of cancer immunotherapy. After being highlighted as ‘Breakthrough of the Year’ by the leading scientific journal Science in 2013 and being included in the ‘Hallmarks of Cancer’ in 2011 by the journal Cell, cancer immunotherapy has proven to be an essential part of cancer treatment. Its potential is demonstrated by numerous studies with impressive results, but due to yet suboptimal response rates, scientists are making big efforts to study the underlying mechanisms further to improve this form of treatment.